After her childhood in Tepoztlan, Mexico, Elizabeth Gilmore moved to Martha’s Vineyard in 1971 to attend boarding school. When the time came to have children, Elizabeth was unable to find a home-birth friendly care provider. In an effort to inform the community about home-birth and midwifery, she and three other women formed the Martha’s Vineyard Education for Childbirth Association. She delved into research to prepare herself to deliver her second child at home, and soon began to attend her friends’ home births. In 1977, Elizabeth and her family relocated to New Mexico. Very soon she found herself in the fight to keep direct-entry midwifery legal and to clearly define the role and scope of the modern midwife. 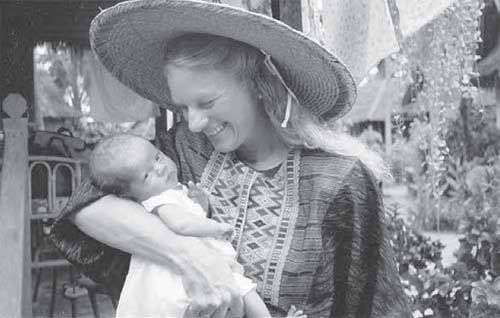 She and Tish Demmin co-founded the New Mexico Midwives Association to organize this endeavor. Elizabeth opened the New Mexico Birthing Center in 1978 and worked there until her retirement in 2001. With her strong belief that “[w]e must remove barriers to midwifery education in order to improve outcomes for mothers and babies,” Elizabeth founded the National College of Midwifery in 1989. The school was later accredited by the Midwifery Education and Accreditation Council (MEAC). MEAC is yet another organization that Elizabeth helped co-found; she also served as its first president. Elizabeth Gilmore passed away from brain cancer on August 7, 2011. To learn more about her life, visit this profile.